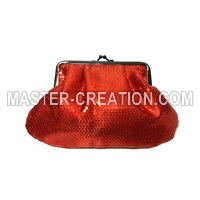 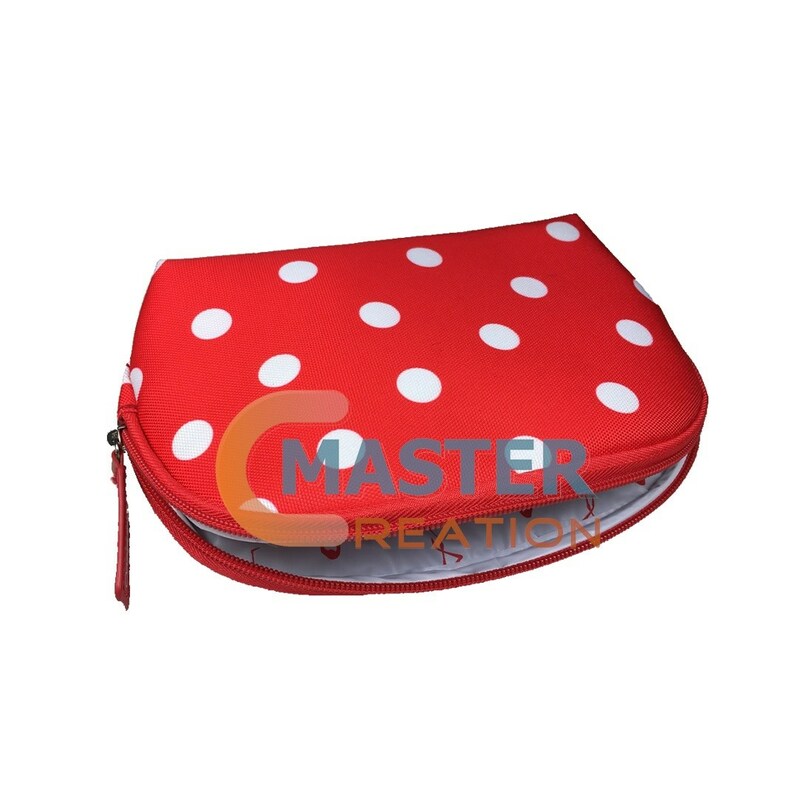 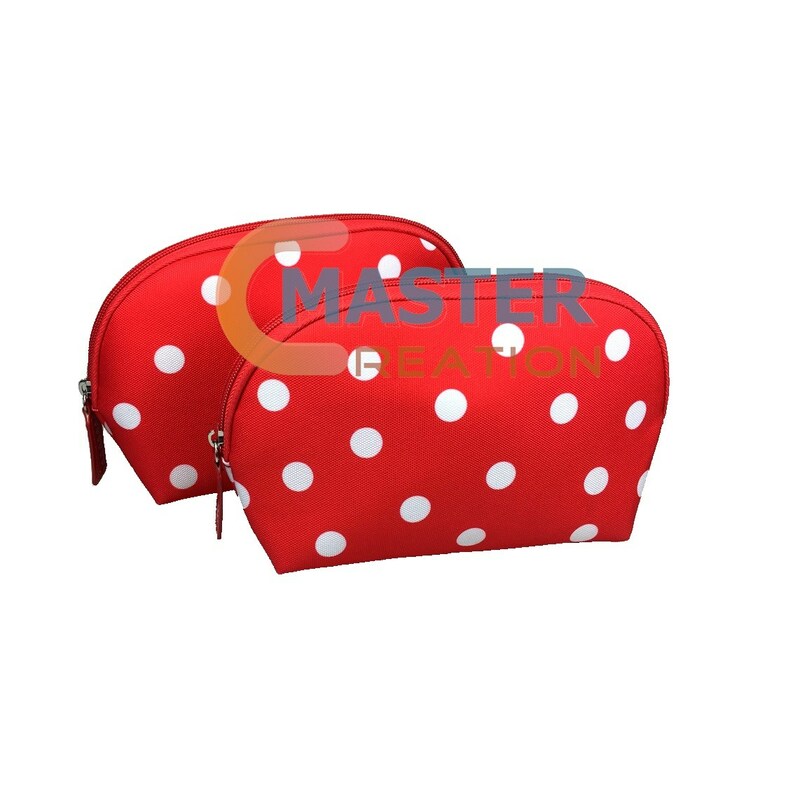 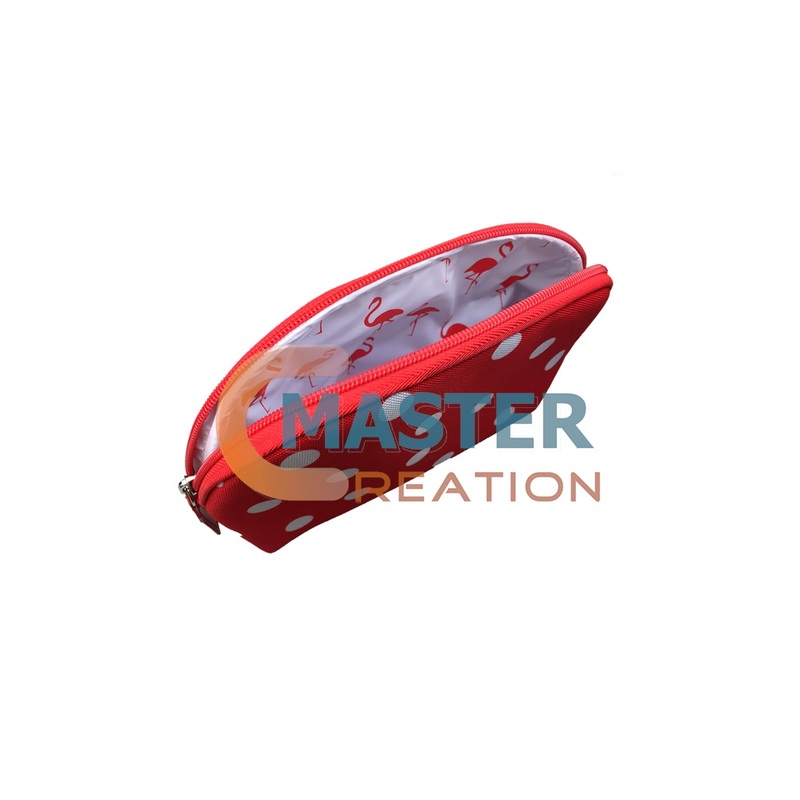 Description This petite red cosmetic bag comes with a full round circles print. 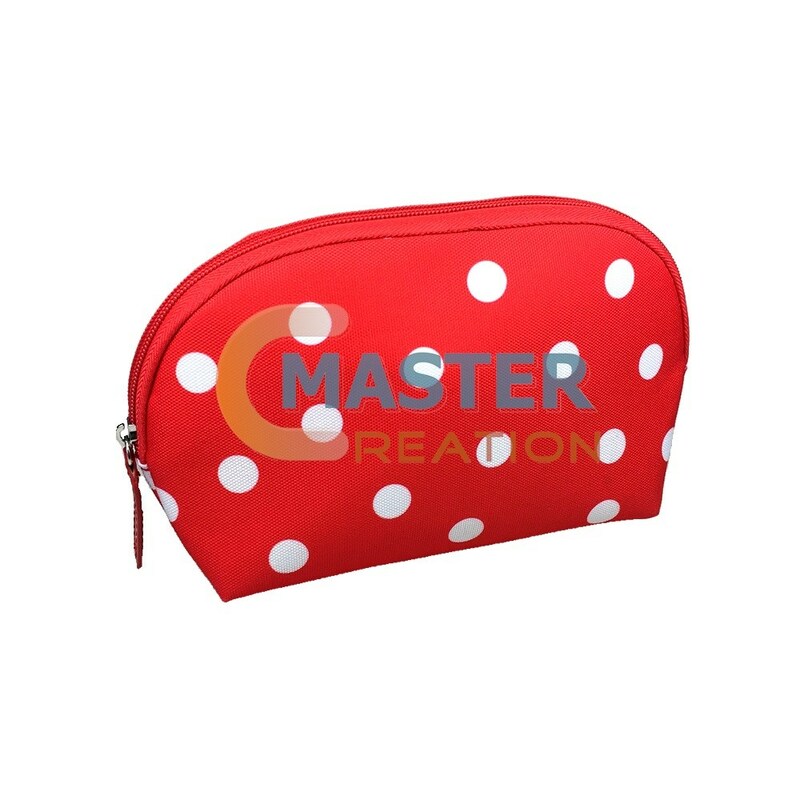 You don't have to worry about the cosmetic staining the bag because it has a scrubbed PVC lining. 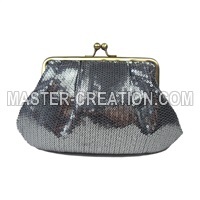 Like a pink style? 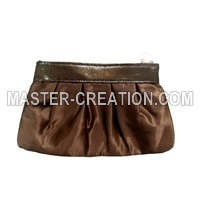 We can customize a new design for you!